Look at that face. That's the face of a kid dealing with screwing up on TV during an MLB game. Today, Royals Ball Boy scooped up Brian Roberts's fair ball, unwittingly turning the play into a ground-rule double for the Yankees. Thankfully, the tale of Royals Ball Boy doesn't end there. Norichika Aoki, the Royal in right field, could probably relate to the silly baseball moment. 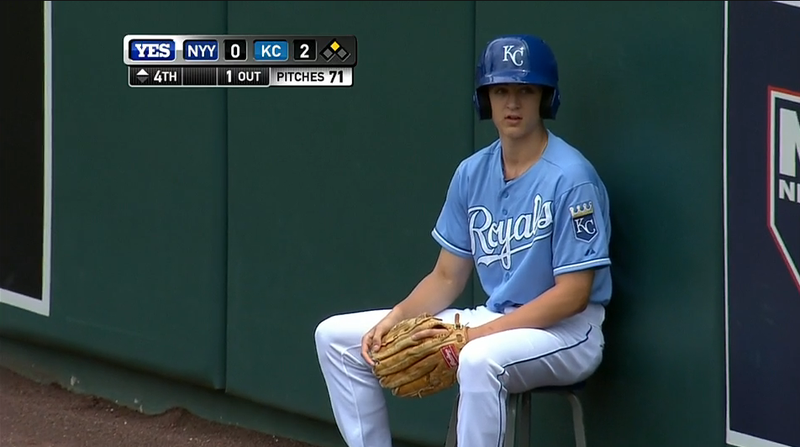 In the next inning, however, life got somewhat better for Royals Ball Boy. Wait, that's a lie. It got better for all of us. 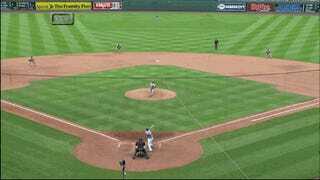 Another ball rolled outside of the right field line, this time clearly called foul. What did Royals Ball Boy do next? ABSOLUTELY NOTHING. "Nope, not letting that happen again," Royals Ball Boy presumably said to himself. Your boss might be mad at you, but you're an inspiration to us, Royals Ball Boy.